More than just a talkback system, Telos Infinity IP Intercom merges voice communication and contribution audio on a single IT backbone employing the latest standards-based VoIP and Livewire+ AES67 AoIP transport to provide dedicated features and functionality without compromise or limitations. It replaces outmoded matrix technology with an advanced, distributed IP network solution that provides superior functionality in a simplified, more elegant form. Being matrix-free allows plug-and-play networked hardware and software devices to be added to the system as part of a planned ad-hoc change without ever worrying that you might exceed the number of available ports on a matrix. 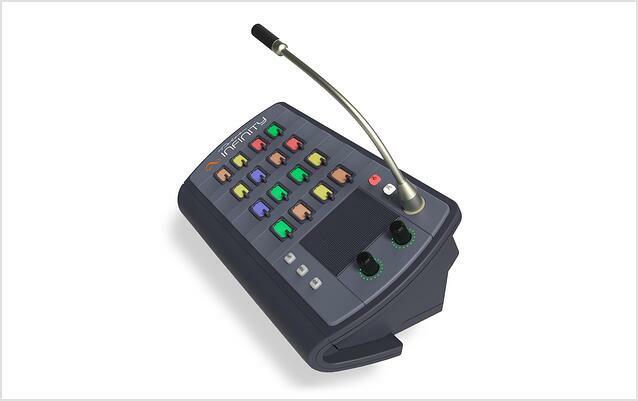 "Telos Infinity IP Intercom unleashes the full potential of a distributed IP audio infrastructure . . . And because it natively supports Livewire+ AES67, it seamlessly connects with our own AoIP products as well as those from other supporting manufacturers." Telos Infinity IP Intercom easily integrates into existing analog, AES, SDI, and MADI systems using Telos Alliance xNode baseband-to-IP interfaces and other AES67 partner devices providing a means by which customers wishing to retain their existing audio infrastructure can easily realize the many benefits of the system. The Telos Infinity IP Intercom system includes rack mounted Intercom Master Panels, rack mounted Master Expansion Panels, Master Desktop Stations, wired Dual Channel Partyline Beltpacks, and Dashboard Software in Basic and Premium versions. Stop by Telos Alliance stand 8.D47 at IBC 2017 to see it firsthand!